The informal adjective nuts dates to the early 1900s but developed from an earlier 17th-century slang meaning often found in phrases like "nuts to me" and "nuts for me," where it referred to a source of delight, as in this quote from English satirist Jonathan Swift's A Journal to Stella (1766): "Why, we had not one word of quarrel; only he railed at me when I was gone: and Lord Keeper and Treasurer teased me for a week. It was nuts to them; a serious thing with a vengeance." The use likely had something to do with the taste of the dry fruit or seed since early figurative examples of the noun include the expression "nuts and cheese." 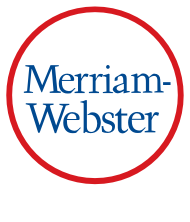 Adjectival use, typically describing enthusiasm about or fondness for someone or something came about in the late 18th century. In Britain, the term was often used in the phrase "dead nuts on," as "She is dead nuts on the boy next door." The notion that enthusiasm and infatuation often lead to obsession may have played a role in the early 20th-century senses of nuts denoting extreme devotion, as in "nuts about baseball," and functioning as a synonym of "insane." "On Friday nights, when my kids … were younger, we would sit and watch a film. It's a fantastic feeling when you see them getting drawn into something you love. My husband, Phil, and I are nuts about West Wing, and we've gradually got my son into that as well." "I think the most irresponsible thing I did was invest in a company that was going nowhere.… It kept falling apart. People kept telling me I was nuts. I kept pushing forward." Unscramble the letters to create an adjective describing someone having strong feelings of love or admiration for someone of something: MEDENARO.